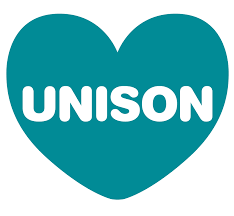 UNISON Community and Voluntary Organisations Branch represents UNISON members working in the community, voluntary and charity sectors. We advocate for the improvement of the working lives of over 3500 members, working across more than 850 employers. The branch is constituted by a network of dedicated Stewards who, in collaboration with Branch staff, provide support to the Branch’s membership. So join and get active today.